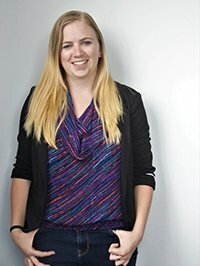 Hayley graduated the Architectural Sciences program at BCIT in 2013. The majority of her experience centers around high-end residential. However, she has also had the opportunity to work on a variety of other projects such as; medical and dental clinics, breweries, and warehouse tenant improvements. Along with her architectural experience, Hayley has also had the benefit of working with an interior designer for a number of years. Her passion lies in investigating sustainable alternatives, and creating spaces for everyone to enjoy. Hayley’s thesis project was awarded second place for the “Andy Kesteloo Memorial Student Project Award” This award is awarded for a student project that demonstrates innovation, inspiration and a creative vision for the future of sustainable design in the field of green building and communities. Over the years Hayley has had the opportunity to travel through Europe, getting to spend some time enjoying the history and architecture of Italy. She loves to travel and learn about different methods of design in various countries, and hopes to do a lot more traveling in the future.